After a two day flight delay, I finally arrived in Montevideo last Sunday. It’s been a very busy week so I’m sorry I haven’t had time to post before now for those of you waiting for pictures – and we’re three hours ahead so it’s almost 2am now. I’ve been working all day on the images from this week, so I should be posting more soon. I’m attempting to capture what life is like in this beautiful old city. (I’m visiting friends who are missionaries here and taking the pictures for their use as well.) I was here a little over four years ago, so many sights are familiar. 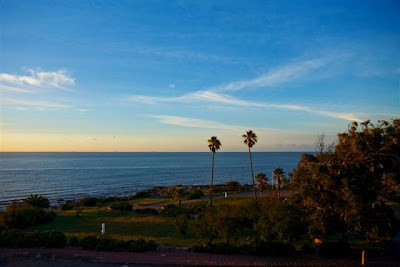 The first couple of nights I stayed in an apartment with this gorgeous early morning view. This is actually a river with Argentina on the other side. On Monday, we toured the Legislative Palace which houses the Senate, House of Representatives and Library of Congress. 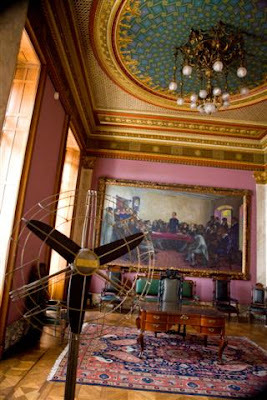 Isn’t this a neat old fan in this office area of an elaborate meeting room? 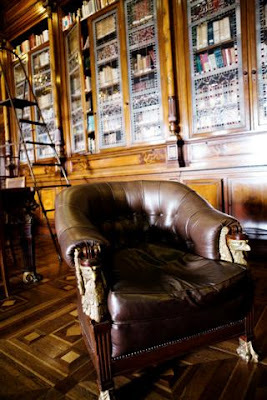 My favorite room was the library with the stained glass doors. The slideshow below has additional pictures including the national cemetery and the British cemetery. They were both so elaborate and their burial system is different as is their practice of holding funerals the day after a death. All the marble in the Legislative Palace is native to Uruguay and comes in a wide variety of colors. Here’s a little more info on the building if you’re interested.